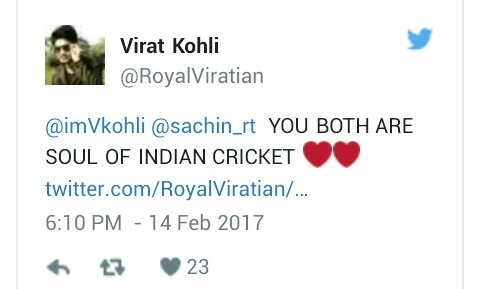 Virat! 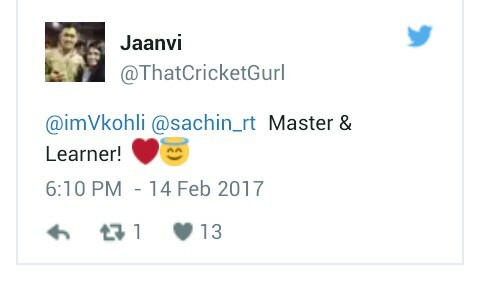 Reaction on Master! 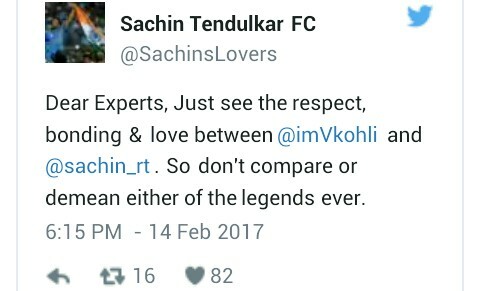 Sachin tweet. Virat Kohli is in the form of his life at the moment. The star batsman recently cracked his fourth Test double-century during India's win over Bangladesh at the Rajiv Gandhi International Stadium in Hyderabad. The 28-year-old was adjudged Man of the Match for his knock of 204 as India stretched their unbeaten run to 19 Tests. Kohli earned accolades from various quarters across the cricketing world. 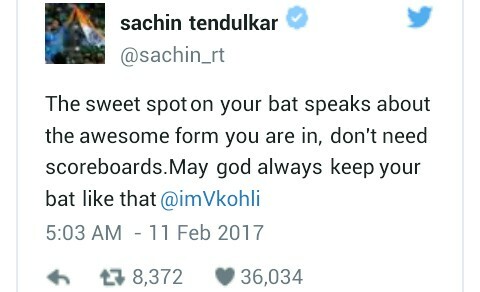 Among those applauding Kohli was Sachin Tendulkar, who acknowledged Kohli's brilliance in the most unique manner. "The sweet spot on your bat speaks about the awesome form you are in, don't need scoreboards. May god always keep your bat like that @imVkohli," Tendulkar tweeted on Friday evening. Virat responded to Tendulkar's tweet on Tuesday, a day after India beat Bangladesh by 208 runs. 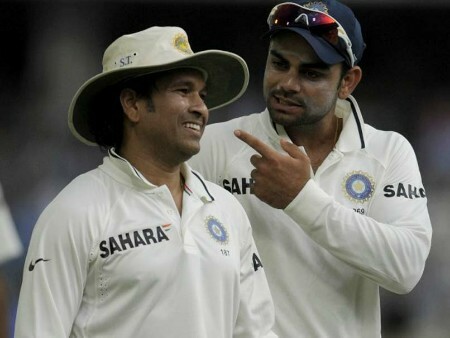 Virat considers Master Blaster Tendulkar his idol and simplicity of his response aptly summed up the reverence with which he looks up to the great man. 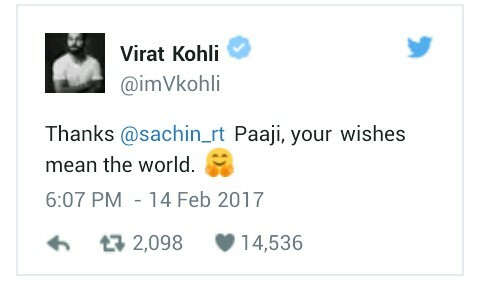 Indian cricket fans were floored by this delightful exchange between two cricketing icons. Kohli's sterling display has even prompted former India captain Kapil Dev to term him as the best batsman he has ever seen. The legendary all-rounder described Kohli as a combination of Tendulkar and Sir Vivian Richards. With Australia set to tour India for a four-match series, the hosts will be overwhelming favourites to continue the incredible run of form under Virat Kohli's stewardship.